How many times have you walked into a toilet room; where the hand-washing area (sink) is on one side of the entrance door and the hand-drying area (paper towels\hand dryer) is on the other side of the door? Or, while standing at the hand-washing area (sink) you find the hand-drying area (paper towels\hand dryer) is located behind you mounted on the wall? The distance that separates the hand-washing area from the hand-drying area; is the space for potential risk of a slippery floor for users of this toilet room design. 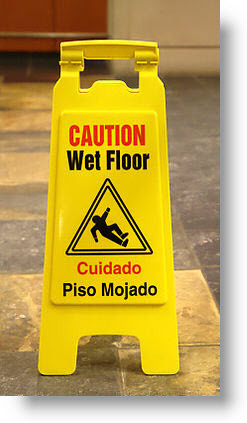 The water dripping off of visitors' hands; creates a slippery floor in the walking and exit paths of the toilet room. A wet floor, more easily collects dirt from visitors shoes and potentially becomes a breeding ground for bacteria and mold. 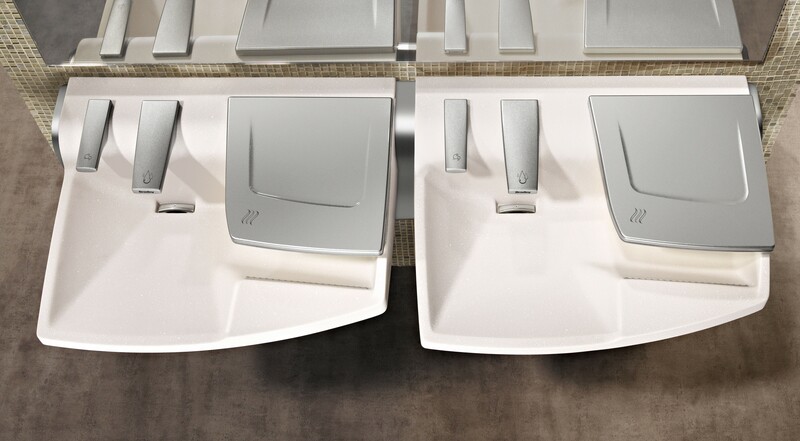 The Advocate AV-Series hand-washing system provides each user their personal, hand-washing space; complete with soap, water and integrated hand-drying. The Advocate's hand-drying system is fully integrated with the hand-washing basin to minimize or eliminate water dripping onto the floor. 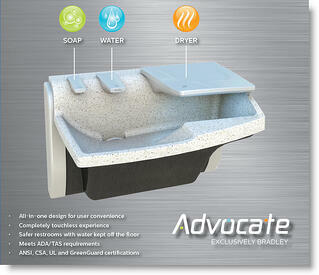 This provides both a safer and cleaner toilet room design.